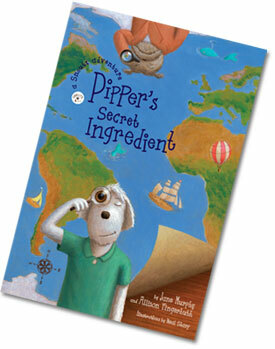 Here is a recipe recommendation for you with an awesome, creative story to it! 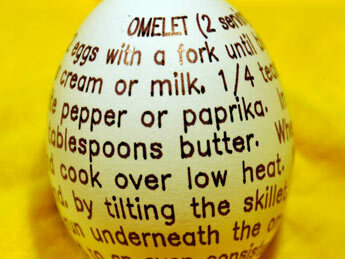 Pipper’s pal Archibald, design expert extraordinaire, was confounded when he read about an omelet recipe printed on an egg. An artist named Dan Newman used what he called the “Egg-Bot,” a 3-D printer that works on spherical objects, to print the recipe right on the eggshell. But Archibald said that once you break the egg, the recipe is broken in pieces too. Time to memorize! 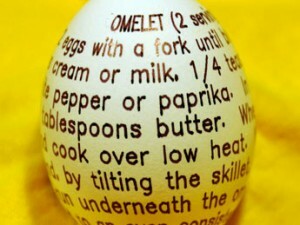 Here’s Pipper’s recipe recommendation for that famous Italian omelet, the frittata. You can break all the eggs it calls for and still have the recipe! 1. Whisk eggs with water, cheese, herbs, salt and pepper, until frothy. 2. Empty mixture into prepared pan. 3. Evenly arrange all the precooked ingredients. 4. Bake for 15 to 20 minutes, turning pan midway. 5. Serve with salsa, using a slotted spoon for the salsa. In a medium mixing bowl, combine all ingredients. Season to taste. 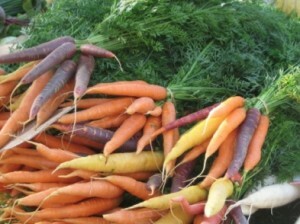 Recipe recommendations for Fall bring a renewed focus to those comfort foods, root vegetables. Carrots are a star of the season. There are lots of varieties. If you see those deep maroon colored ones, grab them and head home to cook them. They have a robust sweetness and meatiness that spells satisfaction. Roasting carrots is as easy as 1-2-3 and this delicious Carrot Dill Sauce for topping them with can be done in a flash. The reward? A dish that tastes like you labored over it for much longer than it really takes. Pipper loves carrots—all year round! Place carrots in a pan in one layer. Toss with the oil, and sprinkle with the salt. Roast in oven uncovered for 30 minutes. In a saucepan over medium heat, cook the juice, honey and dill until the honey has melted and the liquid is hot. Pipper loves cooking up dramatic dishes and this Halloween recipe fits the bill. Soufflés offer that extra bit of theater in their cooking and presentation. You can give that Halloween pumpkin another dramatic life (or just use the canned pumpkin meat and save yourself loads of time!) and cook up these clouds of sweetness and spice. The suggested topping of Mocha Sauce is a nice addition to this Halloween recipe. 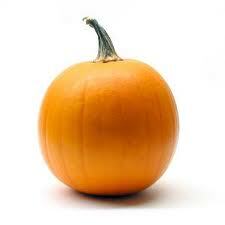 Pumpkins are full of beta-carotene, which turns into Vitamin A in the body. Good-for-you food. And soufflés? There are just good fun. 1. Using your finger or a paper towel, grease the ramekins with butter. Coat with sugar. Set aside. 2. In a medium saucepan over medium high heat, bring the milk to a beginning boil. Be careful not to burn. 3. In a large saucepan over medium heat, melt the butter. Add the flour and mix to combine, cooking for around 1 minute. Slowly add the milk, mixing to combine. Continue stirring as it thickens for another minute or two. Remove from heat. 4. Mix in the egg yolks, one at a time. Add the pumpkin purée, wine and spices. Mix well. 5. In the bowl of a pastry mixer or food processor, whip the egg whites. Once soft peaks begin to form, slowly add the sugar until the whites hold firm peaks. 7. Fill the ramekins 2/3 full. Bake in oven for 12 to 15 minutes. Be careful not to burn tops. Serve with Mocha Sauce (see below). 8. Make a slit in each and spoon in a little of the sauce. 1. Fill the bottom of a double boiler or a small heavy-duty baking pan half way up with water and bring it to a boil. 2. Reduce the heat to maintain a simmering boil. 3. In the top of the double boiler or a small heavy duty sauce pan that will fit into your pan, place all the ingredients and stir as the mixture melts and combines. It should take 2 to 4 minutes to attain a thick and creamy consistency. Now you’re ready to rock and roll. Dip, dunk, pour, ladle to your heart’s content. Or until it’s gone!